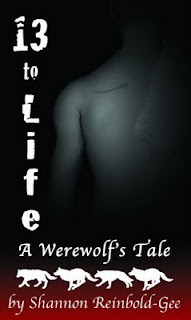 Saoirse Redgrave’s cell phone novel 13 to Life: A Werewolf’s Tale was picked up by St. Martin’s Press in a 3 book deal after taking first place in the 2008 Textnovel contest. Teenage love, loss and--oh, yeah--Werewolves. Monsters are everywhere and what if the most frightening isn't a werewolf at all? Jessica's life seemed tragic enough since the loss of her mother, but meeting Pietr turns her world upside down again. The newest member of Junction High, Pietr has secrets to hide--secrets including dramatic changes he is undergoing that will surely end his life early. Saoirse, you wrote 13 to Life in 5 weeks. Did you do several installments per day? How long did this novel end up being? I've heard the norm for Japanese cell phone novels are around 6000 characters. For St. Martin's to pick it up I imagine it would have to be longer. Beside any expected revisions and edits, did you have to change alot from text novel to traditional novel? Because I was experimenting with the medium, I thought a lot about how I wanted to present things. I thought about limited time, schedules and readibility. I did a lot of odd jobs back in college (factory stuff and tour guiding mainly) and I thought about the schedules we kept on the line. Break time was freakishly short. So I decided to post 2 (occasionally 3-4 as we approached the contest's end) segments every day. One before work and one sometime in the afternoon. It kept me on the site's main page because I was updating relatively frequently. [I wanted bite-size chapters with a hook in the beginning and a cliffhanger at the end to keep it fresh in readers' minds. And I wanted readers to feel they'd contributed. I built a blog about the characters, added playlists, brief bios about the primaries, snippets of info about werewolves and the paranormal. And I posted a number of polls related directly to the action. The trick was posting the polls, getting the answers and then writing according to public opinion (and almost immediately). It kept me on my toes. The polls helped determine what both Derek and Pietr looked like, who the werewolves were, how Pietr's family wound up, who Jess went to Homecoming with and what the first dance was she and Pietr danced together to. It was fun! The main things that changed in 13 to Life from the abbreviated TN version and what will release next year from SMP relate to subplots, description (I had more room to build the world and describe my characters), some important twists and a totally--totally--different ending that lines things up for book 2. Essentially I went from 50 pages to 350 pages--79,000 words, but the heart of the novel remained the same. Thank you so much for your interest in my story from cellphone novelist and farmsteader to published author--your curiosity and support means a tremendous amount to me. If you ever need or want to know anything else, let me know. I'm eager to help fellow writers and authors however I can. What a wonderful way to start. Congratulations and of course thanks for a being a great host this summer! Thank you for posting on this topic, Clover and a huge thank you to Saoirse for sharing your story. I had not heard about cell phone novels until I read this post. Very interesting. Lovely start. We're not done, are we? I'll be back Clover, looking for more.